And so I am back (from outer space!) with another LO and this one is pretty basic. It features Cody Rhodes, and the son of course, when they met in Barcelona last fall. This was a difficult one and that is much thanks to Cody´s personality. I mean, he is a really nice guy and all but there is nothing that really stands out in his character. 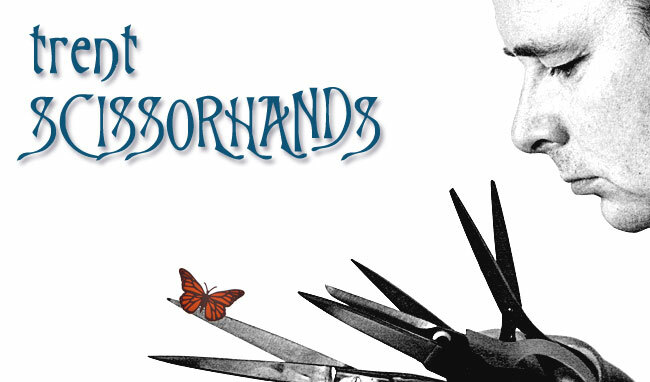 I usually pick my motives for the LO´s from the characters but this one just had me puzzled. I started out with the letters and I am partuculary proud of them since I just sat down and cut them out by hand, without looking at anything else. I added the red stripes (shadows) to get a 3D-look and then put them on my original choice of background-paper which was red. It did not work at all. I eventually found this black paper that had Family, history, legacy and tradition printed on in a corner and I fell for it straight away. 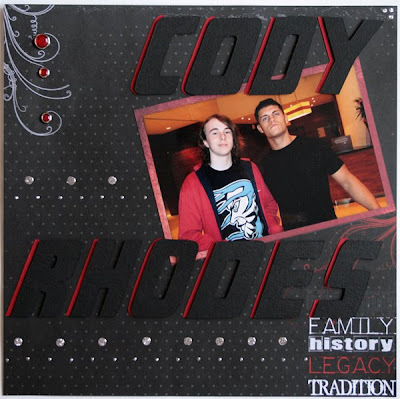 Cody is currently in a wrestling-stable called Legacy with Ted DiBiase and Randy Orton (two other second generation wrestlers), his father is The American Dream Dusty Rhodes and his brother is Goldust, Dustin Rhodes. Extremly fitting in other words. It still looked a bit empty so after a lot of thought and even more shapes and other stuff that I tried to spice up the LO with I settled for some bling and some Diamond Dots. It´s not to shabby, especially considering I was totally blank on ideas, but it could probably have been better if I would have given it some more time. But time is something I am very short of these days. The somewhat empty LO, still, it´s colour coordinated! 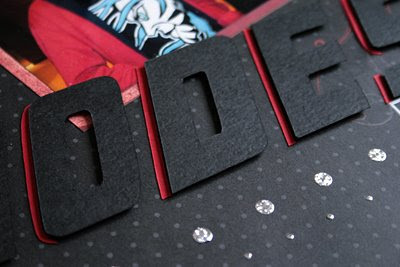 A close up of the letters that are mounted on 3D-cushions.